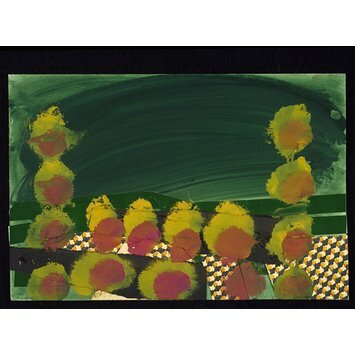 This design by Howard Hodgkin was donated to the Theatre Museum by the artist in 1984. It was executed for a production of the ballet "Night Music" performed by Ballet Rambert at the Newcastle Theatre Royal, October 9th 1981. The choreography was by Richard Alston using a selection of music by Wolfgang Amadeus Mozart, and the lighting was by Peter Mumford. The cast included Lucy Burge, Jkky Maas, and Frances Carty. The ballet had been specially commissioned by the Newcastle Upon Tyne City Council for the Newcastle Festival '81. The production later toured the country, and was performed at Sadler's Wells in March 1982. The critic Alastair Macaulay* wrote of the set design in his review of the ballet... "Night Music is a collaboration with the artist Howard Hodgkin whose work here and elsewhere is related to the Abstract Expressionism of the American painters Barrett Newman, Mark Rothko and Jackson Pollock. (Curiously, Hodgkin's present style was first revealed in a painting in '59 called "Dancing".) There's a roseate, ordered, abstract drop curtain for the opening and closing scenes: the stage wings are angled, of reflective silver foil: more intricate is the backcloth for the central section. Though I wasn't completely happy with the latter's colouring, the whole does work as a theatre set. It has an imagination of architecture that gives a real frame to one's view of the dances. And of how many non-figurative designs since those of Sophie Fedorovitch can that be said? " 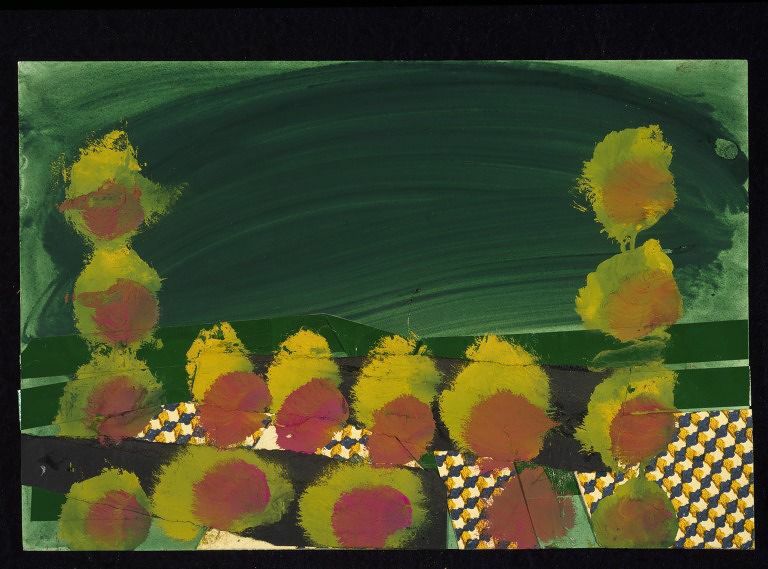 Set design by Howard Hodgkin for "Night Music", Ballet Rambert, Newcastle Theatre Royal, October 9th 1981. Hodgkin was one of several British artists invited to design sets and costumes for the leading ballet companies during the 1980s. Using Mozart’s Nocturni and Divertimenti, jointly selected by the choreographer and the designer, the production distilled the atmosphere of an informal gathering of friends in a garden at night.